Manufacturer of a wide range of products which include ptfe bellows. Operating pressure Vacuum to 6 kg /cm. sq. Being a reckoned name in the industry, we are engaged in offering PTFE Bellows, to our customers. Manufactured in accordance with the industry approved norms, these products are used widely to cater to the diversified industrial needs and are available in various specifications in terms of dimensions. Our offered range is capable of safeguarding axial movement. 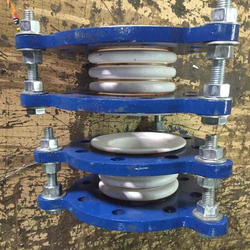 PTFE Bellows are used in chemical Industry. PTFE bellows are flexible and high pressure resistance upto 20 Bar. It's also high temp. resistance. Used Where Acids,solvents Are In Contact. It's Also Nonstick And Food Grade.